If it is happening in Kansas City, Ramsey Mohsen is probably there. As one of Kansas City’s most influential digital consultants, speakers, and video bloggers– Ramsey has over 10 years of professional experience in all things digital. Ramsey is also often asked to appear on KCTV5 for TV interviews regarding the latest development in technology, social media, and gadget reviews. He has also been asked to speak at numerous conferences across the country, on several local television stations and has had his work published in notable sources such as Mashable and TechCrunch. Currently, Ramsey is the CEO of Everhance, a technology company that specializes in digital properties that educate, entertain, and inspire. He created and authored Across the Board, a popular entertainment blog (now closed) that had millions of visitors and over 8,000 blog posts he authored. Ramsey is also a pioneer in the video blogging space, as the first “life-caster” in the Midwest featured on the famed Justin.tv Website. He is often specifically sought after by event organizers and marketing directors throughout the metro area to help publicize their events to the key-twenty-something demographic nationwide. He has also been asked to speak numerous conferences across the country, and many local organizations (including the Greater Kansas City Chamber of Commerce, KC/IABC, Public Relations Society of America, KC Social Media Club and the University of Kansas) on the application of social media technologies to business. A Springfield, Missouri native (but graduate of the University of Kansas), Ramsey has become a major booster of the Kansas City area and uses every opportunity to promote Kansas City. He is active in a number of community organizations, serving on the steering committees of the Young Friends of Union Station and HillOween. In fact, Ramsey has turned his well-attended annual “Ugly Christmas Sweater Party” into a fundraiser for Operation Breakthrough. Founded in 2008, the benefit party, which he organized from the ground-up, has raised over $175,000+ to the charity. In 2012, The Ugly Christmas Sweater Party was featured on TV in a Travel Channel special documentary called “Christmas Crazier”. Ramsey also serves on the Board Of Directors for Operation Breakthrough. And if you have not seen Ramsey or his blog, you most likely have seen his work. Ramsey created the department and served as the Director of Social Media at the full-service digital agency DEG (and worked there for almost 10-years). He has designed and developed social and digital experiences for some of the world’s largest and best-regarded brands such as the Hallmark (blog.hallmark.com, facebook.com/hallmark, youtube.com/Hallmark), Timberland (community.timberland.com, blog.timberland.com, facebook.com/timberland), Kansas City International Airport (flykci.com), Bushnell (backtrackgps.com, facebook.com/Bushnell) Crown Center (crowncenter.com), the KU School of Business (business.ku.edu), and the State of Missouri Division of Tourism (news.visitmo.com) and City of Overland Park (opkansas.org). Ramsey has also led the design and implementation of several Facebook and social media projects for such brands as AMC Theatres, Hallmark Cards, Cabela’s, Hyatt, Lockton, Gordmans, Silpada Designs, Kansas City Steak, Lee Jeans, Bushnell, Rockport, H&R Block, Crocs and Helzberg Diamonds. Ramsey was recognized by Ingrams Magazine, a Kansas City based business publication, in the inaugural class of top “20 in their Twenties“. Ramsey was featured on The University of Kansas Business School website for his accomplishments and successes. Ramsey was featured on the front cover of the Kansas City Star and the cover of ink magazine in 2009. Ramsey was featured on the front cover and FYI section of the Kansas City Star in 2008. Ramsey was recognized as “Top Blogger of the Year for 2008” in Kansas City, by Tony’s Kansas City. His ‘David Beckham show’ video blog was featured on the YouTube homepage and had over 100,000 views in 3 days in 2009. Ramsey led the team thatredesigned www.eprkc.com, which was awarded a national second place (silver) trophy by the National Association of Real Estate Investment Trusts (NAREIT). Ramsey led the team that redesigned Ferrellgas’ corporate website, www.ferrellgas.com, which was awarded a silver Davey award for website category of “Energy” (over 4,000 entries). Ramsey was a featured panelist and guest speaker at the 2010 Social Media Conference, Free State Social. His video blog was also featured on the conference’s official blog. Ramsey was interviewed by The Lawrence Journal World and featured in an article in regards to posting personal information online and Facebook’s privacy changes in 2010. Ramsey was a featured guest speaker at the KC/IABC Business Communicators Summit, discussing Personal Branding. Ramsey was a featured guest speaker at the Public Relations Society of America (PRSA) #PRevolution conference, discussing Personal Branding, in Wichita, Kansas. Ramsey was a featured guest speaker at the International Regional Magazine Association (IRMA) annual conference, discussing digital marketing and writing for the web, in Branson, Missouri. A project led by Ramsey, http://m.ferrellgas.com, was featured on the front-page of the Kansas City Business Journal in December of 2010. Ramsey was interviewed by KCTV5 on-air regarding the “Top 5 Social Media Trends for 2010″. Ramsey was a featured on TV (NBC and FOX4) in December of 2010, to promote the Ugly Christmas Sweater Party as chairperson of the event. Ramsey was sponsored as a video blogger for (CES) Consumer Electronics Show in Las Vegas, on behalf of Midland Radio (2010, 2011). Ramsey was interviewed by KCTV5 on-air regarding the tablet market and what to look for. 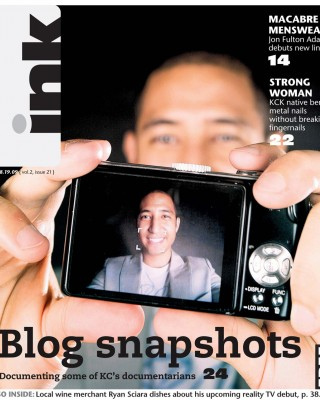 Ramsey was interviewed and featured in Ink magazine for an article on Personal Branding in January of 2011. Ramsey was the presenting speaker at the Kansas City Chamber of Commerce for @genKC, speaking on Personal Branding in the Digital Age. Ramsey was interviewed by KCTV5 on-air regarding the Interview with KCTV5 about Google high-speed fiber in KCK in Kansas City, Kansas. Ramsey was a presenting speaker at the SEAL conference in Dallas, TX speaking on B2B Digital Strategy and Social Media. Ramsey was featured on the Uni-ball corporate blog post in 2011 for efforts as a pioneer in the social media space and a “digital visionary”. Ramsey led the team that developed, designed, and launched the Timberland Community social media aggregation website. This serves as the exclusive hub for all things social in relation to the Timberland company. Ramsey led the team in terms of strategy, development, creative, and re-launched the official Timberland YouTube channel. Ramsey was interviewed on-air at KCTV5, in regards to the Apple iPhone data glitch in 2011. Ramsey was featured in Ingram’s magazine on the panel for “Industry Outlooks: Social Media & Mobile Technologies“. Ramsey was interviewed on-air at KCTV5, in regards to the Apple iCloud and music service announcement in 2011. Ramsey was a featured breakout session speaker at the 2011 Lockton Insurance Sales Producers Conference. His session focused on using social media for relationship marketing. Ramsey was sponsored by Timberland to produce, shoot, edit and cover the 2011 Toronto International Film Festiveal (TIFF). 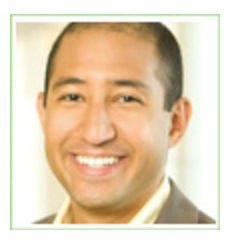 Ramsey led the team for strategy, development, creative, for the re-launch of the official H&R Block Corporate Blog. Ramsey was interviewed and featured in an article for the Kansas City Business Journal called, “Social Media: The Right Way, and The Risks“. Ramsey pitched an idea and lead a team at Kansas City Startup Weekend #5. The team is called “LunchUp” (an iPhone/Web based app that lets you share what you’re doing for lunch). Ramsey’s video blog work he contributed for a website project (Outdoors Adventure/LiteTrace) was honored for a 2012 Webby Award for Retail. Ramsey was interviewed and quoted in The University Daily Kansan in regards to Pinterest‘s success in early 2012. Ramsey and team won a 2012 Silver Communicator award for leading the project, Bushnell Backtrack GPS. Ramsey and team won a 2012 Silver Communicator award for leading the project, H&R Block Corporate Blog. Ramsey and team won a 2012 Silver Communicator award for leading the project, Timberland Community. Ramsey’s video blog was featured on Silicon Prairie News for the Google Fiber Space in Kansas City. Ramsey in 2012, was featured and interviewed for The Pitch Questionnaire. Ramsey in 2012, was interviewed on KCTV5 for the release of the Samsung Galaxy SIII. Ramsey in 2012, was interviewed on KCTV5 and shared his “Must-Have Travel Apps for the Summer” (part 1, part 2). Ramsey had a chance to review the iPhone 5 prior to it’s release and was interviewed on KCTV5. (also was interviewed prior to the release on KCTV5). 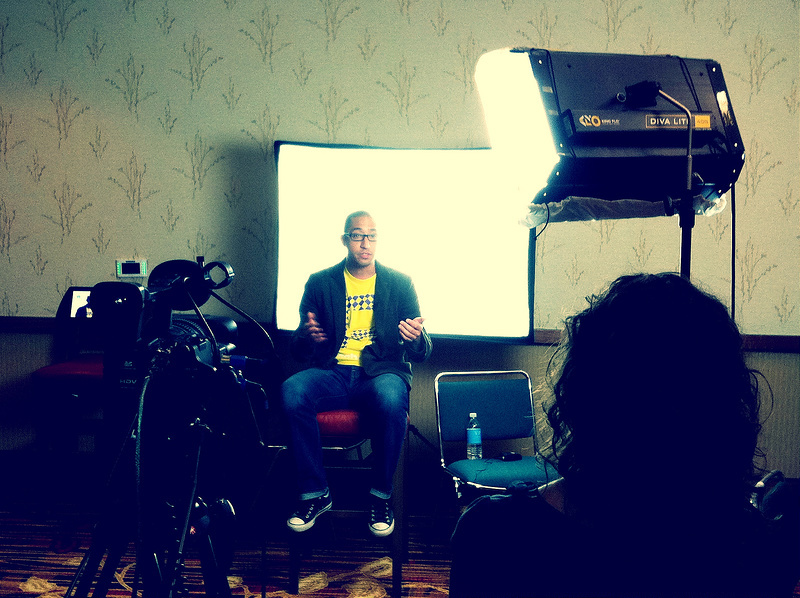 Ramsey spoke at the AAFKC Bulletproof 2012, providing his 10 Things You Do Online That Would Never Fly IRL [VIDEO]. Ramsey in 2012, was interviewed on KCTV5 and shared his Top 3 Back-to-School Apps. Ramsey invited by Google to attend the official press conference for the announcement of Google Fiber. Ramsey was interviewed on KCTV5 regarding the announcement of the iPad Mini. Ramsey in 2012, was featured by the University of Kansas in a KU Endowment campaign. 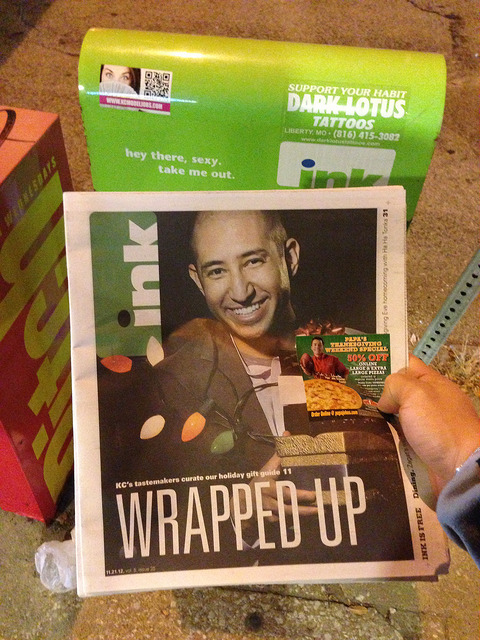 Ramsey in 2012, was interviewed for recommendations for ‘Holiday Tech/Gadget Gifts’ and featured on the cover of the Kansas City Star’s Ink Magazine. Ramsey in 2012 was the emcee (“master of ceremonies”) for the inaugural Compute Midwest Conference at the Kauffman Center for Performing Arts. Ramsey in 2012 was interviewed by KCTV5 about “Low Priced Tablets”. Ramsey and The Ugly Christmas Sweater Party (a benefit party he co-founded) in 2012 was featured on The Travel Channel TV special called Christmas Crazier. Ramsey in 2013 was featured on KCTV5 sharing his Top 5 picks from CES 2013. Ramsey in 2013 was featured on KMBC with his wife in regards to the experience at the Boston Marathon bombings and the usage of social media at time of crisis. Ramsey was asked and served as the ‘Master of Ceremonies’ for the H&R Block / Think Big ‘Hackovate Health Tech Conference’. Ramsey in 2013 was asked by ExactTarget to be the featured speaker at 3SixtyLive. He spoke on 10 Tips for Social Media Success in 2013. Ramsey in 2013 was asked to speak on Personal Branding to the AIA Pillars Leadership Program class of 2013. Ramsey in 2013 was selected and featured in an article with Kansas City’s “top twitter users” to provide life advice to new graduates, #DearGrads: KC’s top Twitter users write graduation speeches. Ramsey in 2013 was asked to speak at Social Media Club of Kansas City (SMCKC) “Experts Panel: Social Media Burnout“. Ramsey in 2013 was asked to speak/present at a private professional development session for Central Exchange of Kansas City regarding “Trends in Consumer Technology and Gadgets”. 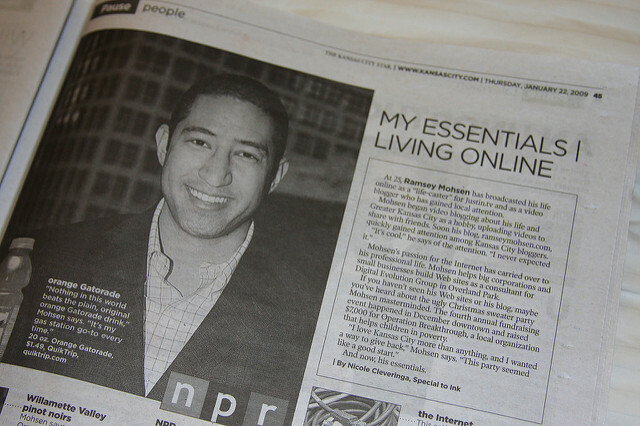 Ramsey in 2013 was featured and quoted on the front page story of the Kansas City Star regarding ‘Digital Addiction‘. Ramsey in 2013 was featured and quoted in the Kansas City business panel/magazine story on Social Media & Integrated Marketing Industry Outlook assembly. Ramsey in 2013 was featured as a guest writer in the Kansas City Star for a piece called, “Room for all: Apple, Google, Microsoft“. Ramsey in 2013 was named by the Kansas City magazine The Pitch as the “The Best Tech Expert“. Ramsey in 2013 was selected and performed for ‘Dancing with the Stars’ in Kansas City to raise money and awareness through the BMA Foundation for Operation Breakthrough. Ramsey in 2013 was interviewed, quoted and cited in the Forrester Social Media Research report, “Get Approval To Fund Your Social Marketing Initiative“ by analyst Kim Celestre. Ramsey in 2014 was interviewed, quoted and cited in the Forrester Social Media Research report, “Staff Agile Teams For Social Marketing Success“ by analyst Kim Celestre. Ramsey led the team for ideation, strategy, development, creative, for the launch of Park Hyatt’s Global ‘My Luxury List’ campaign. Ramsey led the team for ideation,strategy, development, creative, for the launch of the global wedding dress brand(s) Essense Designs Blog, Pretty Happy Love. Ramsey led the team for ideation, strategy, development, creative, for the launch of JoAnn’s National Halloween Campaign, Trick Or Treat. Ramsey in 2015 was featured + asked to write a column for Ingram’s Business Magazine entitled, “How To Think About the ROI Of Social Media“. Ramsey in 2015 was named one of “Kansas City’s Most Bad*** People Of The Year” by Mazuma. Ramsey in 2015 was nominated and appointed to serve on the Board of Directors for Operation Breakthrough. Ramsey in 2015 was nominated and appointed to serve on the Unbound Social Media Advisory Board. Ramsey was interviewed by KCTV5 regarding the iPhone 1970 glitch and asked to give advice to viewers. Ramsey’s tweet was featured on Buzzfeed’s ‘What People Said About Celebrities 9 Years Ago Vs. Today‘ article. Ramsey Mohsen sponsored by Bushnell to demonstrate the Backtrack GPS. Ramsey Mohsen interviews co-founder of foursquare, Dennis Crowley. Ramsey doing an interview with ExactTarget at Connections, for case study of the Facebook project he work on for Crocs.